Product prices and availability are accurate as of 2019-03-14 01:11:10 EDT and are subject to change. Any price and availability information displayed on http://www.amazon.com/ at the time of purchase will apply to the purchase of this product. Slip-on construction. Stitch detailing. Logo-detailed bit enhances the vamp. Leather lining. Cushioned footbed. Rubber sole. 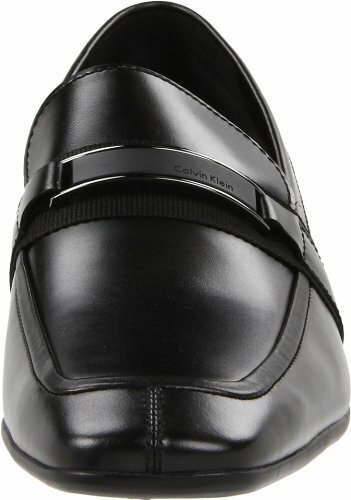 Bring your sharp-dressed attire into the 21st century with the Shane from Calvin Klein. 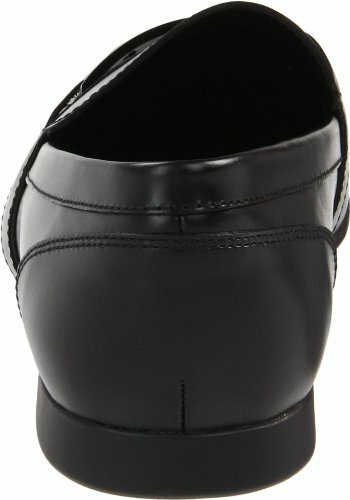 The modern squared toe and buckle detail across the throat combine for a look that's sophisticated and dapper. A flexible outsole allows a smooth stride to perfect how you feel as much as how you look.